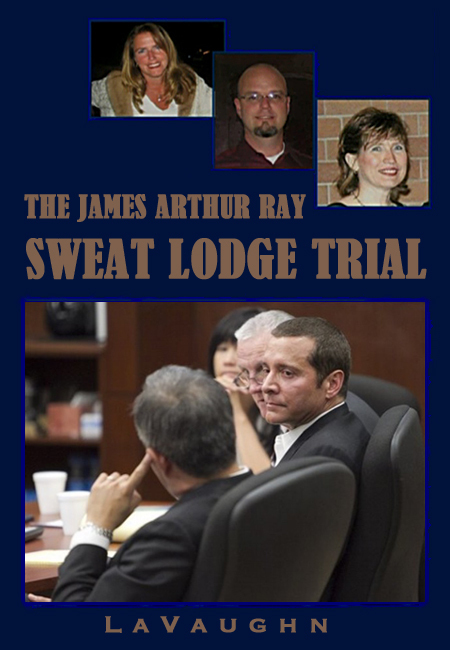 The first press interview with one of James Ray's jurors has hit the street. The only big surprise for me in this story is that juror Phillip Lepacek found Luis Li "personable and entertaining." Well... I guess I found him somewhat entertaining but only in the most darkly comic sense. I'm far less surprised to learn that he was "taken aback by defense attorney Tom Kelly, who clearly stated to the jury that he didn't like its verdict." I hadn't thought that insulting the jury would go over real well -- especially considering that they'd just rearranged four months of their lives to hear this case. The upshot? Four of the twelve thought it was manslaughter. The other eight won the argument and the four let themselves be talked down to the lesser charge of criminally negligent homicide. They also did not buy the organophosphate theory. Shocker!! "There were millions of things afterward that just didn't add up to these poisons being there," he said. "Even though the defense didn't have anything to prove or demonstrate, if they could just get those samples and test them and say `Here it is.' So obviously I'm thinking there was none." Dr. Matthew Dickson, who reviewed autopsy records and medical reports of the participants for the prosecution, gained major points with the jury because of his experience with heat-related illness and exposure to pesticides, Lepacek said. Dickson testified he was 99-percent sure that heat caused the deaths, and that the signs and symptoms of the victims were inconsistent with exposure to organophosphates, a pesticide compound. "It was a no-brainer there was heat," Lepacek said. "These people were baked." Other fun facts: They didn't really trust the Hamiltons and thought they should have put a stop to this whole thing. (That seems fair.) And Lepacek thought Judge Darrow did a fantastic job of explaining the the legalities to the jury and gave them a lot of clarity. Again, none of this comes as a surprise. I do think the jury did the best job they could with the information they were given. Personally, I think Sheila Polk did a fantastic job and I was convinced of manslaughter... but I have information that the defense successfully got excluded. I also have to say that I do not think Judge Darrow was biased in this case. If he were biased he would have taken the out provided by the Brady violation. I think he's a former defense attorney... actually I know he's a former defense attorney. And while team Ray's courtroom tactics did not impress me, they do know the law and they made the right arguments to get things excluded. A lot of this is frustrating but having a judge who thinks like a defense attorney may prove not be such a bad thing if Ray's attorneys appeal, which they say they absolutely intend to do. Lepacek seems to believe that Ray was a decent guy in a horrible situation. Wait 'til he learns all stuff that was kept from the jury. Which brings me to my next point: Letters are still being received by prosecutors for use in the mitigation phase. I hope to have more details on this soon and will post them when I do but this link on Connie Joy's Facebook page gives some of the information. Nancy Ogelvie is coordinating efforts to compile information for Sheila Polk from the many people who have been emotionally, physically, and/or financially harmed by James Ray.